Polyamides are probably the most successful polymers in the field of highly technical applications. During the last 25 years, we have witnessed the introduction of nylon as a replacement for metals and thermosetting materials in many applications in all industrial sectors. As is well known, nylon is a primary choice for applications at high temperatures, due to its excellent thermal resistance. 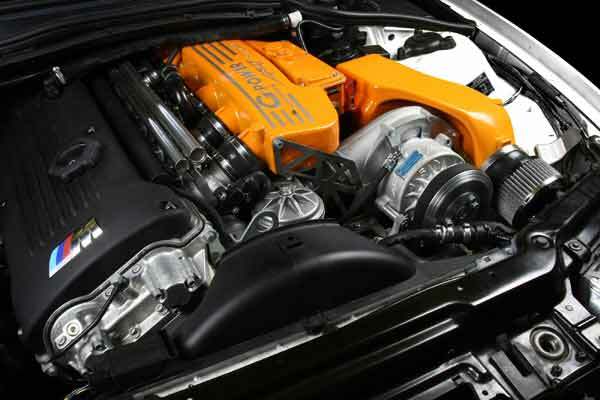 However, in the automobile industry, the internal combustion engine has evolved towards more powerful, smaller-sized engines fit into tighter spaces, with the effect of increasing operating temperatures up to values that are no longer compatible with traditional heat-stabilized polyamides. Today, high thermal performance is also a requirement for many applications in the electrical sector. You only need to think of components that have to meet the insulation requirements of the UL1446 standard, which ranks materials into classes according to maximum allowable working temperature. In order to fulfil these new more stringent requirements, manufacturers of polyamide resins have come up with a series of special products, such as semi-aromatic polyamides and polyamide 4,6 (PA4,6). Some glass-fibre-filled polyamide 66s have been developed for operation in air at temperatures of up to 200-210 °C. These PA66s provide much better performance than the heat-stabilized ones commonly in use. In this article, we review the technical characteristics of some of the special materials developed by Radici Plastics, using an original technology to achieve optimal thermal protection. We describe the properties of a 35%-glass-fibre-filled product for injection moulding, a 15%-glass-fibre-filled product for blow moulding and, lastly, a material that has not only excellent thermal resistance, but also flame resistance. Figure 1 shows the schematic of a turbocharged engine. Turbochargers were introduced firstly for diesel engines, but of late they are used more and more on gasoline engines as well. Turbocharging has turned out to be the quickest and most effective way to reduce engine size without significantly reducing power output. Exhaust gases spin the turbine and thus activate a compressor that pressurized the air. The pressurized air is then sent through a duct to the intercooler. The intercooler lower the air temperature that, through another duct, is sent to the engine. 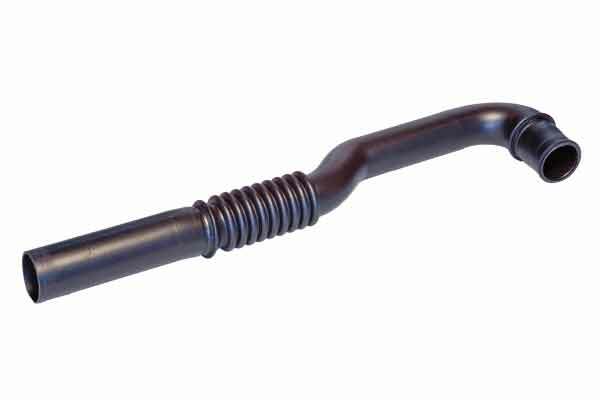 The pipe that carries the compressed air from the compressor to the heat exchanger (intercooler) can reach temperatures of over 230 °C. Today, these pipes are primarily made of metal with rubber sleeves at the ends. • injection moulding followed by vibration welding. Another typical component of a turbocharger system is the charge air cooler end tank (intercooler), which may require materials with enhanced temperature resistance due to the high thermal load. For these components special polymers, such as semi-aromatic polyamides PA4,6 and PPS, are used. However, in the case of applications where temperatures do not exceed 210 °C, an injection moulding, high temperature resistant PA66 grade can be considered. Polymers are already widely used for the manufacture of ducts carrying air from the heat exchanger to the engine. The temperature of the ducts usually does not exceed 160 °C, so blow moulding grade glass-fibre-filled PA6 can be used. Figures 2 and 3 show the graphs of the change over time in the mechanical properties of 35%-glass-fibre-filled materials for injection moulding during 2,000 hours of heat ageing in air at 210 °C. In Table 1 the measured values for the two materials are shown side by side for comparison purposes. After 2,000 hours of ageing in air at 210 °C, the heat-stabilized (HS) PA66-GF35 specimen exhibits a completely carbonized cross-section, with residual values of practically zero. By contrast, the HHR version shows only slight surface degradation, although there is a significant fall in Charpy un-notched impact strength. The residual value of the latter parameter stays at greater than 50% of its initial value. Figures 4 and 5 show comparison plots for PA66-GF35-HHR (Radilon®A RV350 HHR 3800 Ner) and heat-stabilized PPA-GF35 (polyphthalamide), a material already commonly used for high-temperature applications. For these two materials, an ageing test was conducted at 200 °C for a duration of 2,000 hours. PA66-GF35-HHR can be moulded under typical PA66 moulding conditions, i.e., melt temperature of between 280 °C and 300 °C and mould temperature of about 80-90 °C. Unlike other special polymers, there is no need of a mould temperature set-up above 100 °C. Table 2 shows the mechanical property retention rates of the two materials after thermal ageing in air at 200 °C for 2,000 hours. We note that, at this temperature, Radilon A RV350 HHR has a slight edge over PPA-GF35. Ageing tests at 210 °C for 1,500 hours were also conducted on an HHR version of 15%-glass-fibre-filled, blow moulding-grade PA66. Figures 6 and 7 show comparison plots for a 15%-glass-fibre-filled, heat-stabilized (HS), blow moulding-grade PA66 and Radilon A BMV 150 HHR, a special product with superior heat resistance formulated specifically for blow moulding processing. Figure 8shows a turbo manifold pipe about 800-mm long, which has been blow moulded by using parison suction technology. As one can see, the component has a 90 °C elbow and a bellows for increased flexibility. The good melt strength and die swell values allow for manufacturing rather complex shapes of considerable length. The HHR blow moulding version of the product exhibits (Table 3) exceptional resistance to ageing at 210 °C. In fact, the retention rates for tensile strength and tensile elongation at break stay above 50%. These values show that this material is suitable for the manufacture of turbo air ducts, where high deformability is required even after ageing so as to prevent ruptures caused by engine stroke and vibrations. HHR technology was also successfully used on a flame-retardant product. In this case, the choice fell on Radiflam® A RV150 HHR AF, a 15%-glass-fibre-filled product. The technical specifications were as follows: no more than 35% mechanical property degradation after ageing at 170 °C for 1,000 hours, and no change in the flame-retardant properties of the product, or more precisely, retention of a UL94 V0 flame-class rating by a 0.8-mm-thick specimen after ageing at 170 °C for 3,000 hours. Table 4 shows the comparison results for Radiflam A RV150 HHR AF and an equi-valent PA66 product with standard heat protection. The growing demand for polymers that can replace metals in the most severe operating conditions has been a chal¬lenge for suppliers. During the last 24 years, polyamide has been the material that has contributed more than others to the transition from steel and light alloys to non-metal materials, even for high-thermal-stress applications. 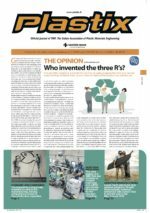 The need for lighter materials combined with environmental sustainability is still another factor that is driving the introduction of engineering plastics for applications where designers had not even thought plastics could be used up to now. The hardest challenge lies in engineering materials that can meet the strictest specifications for both the absolute values of continuous operating temperatures and the time of exposure to critical conditions. Furthermore, among the deciding factors to be considered, there is always price, which must not exceed the price of competing metals. In its high-temperature-resistant versions, polyamide is an important step in the right direction and, within the limits of use outlined above, it fully meets many of the requirements.